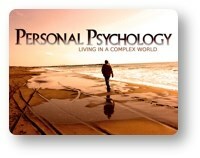 Red Comet’s Online Curriculum for High School Unveils Brand New Credit Course on Personal Psychology II. Red Comet, an Accredited, Self-Paced, Online High School Launches a New Credit Course on Personal Psychology II. This summer, Red Comet’s new online elective course “Personal Psychology II: Living in a Complex World” is a new addition to the curriculum. Self-knowledge is the key to self-improvement. More than 800,000 high school students take psychology classes each year. Amongst the different reasons, there is usually the common theme of self-discovery. Topics in this course include the study of memory, intelligence, emotion, health, stress and personality. This course offers exciting online psychology experiments about the world around us. Red Comet has students all over the nation. All core subjects are available and students will get great instruction in classes such as Social Studies, Art, Science and Mathematics. For students who are missing credits since they cannot attend high school classes at their local high school, for students who need AP classes and for home school students, Red Comet is a great option. It’s also great for those who need credit recovery.